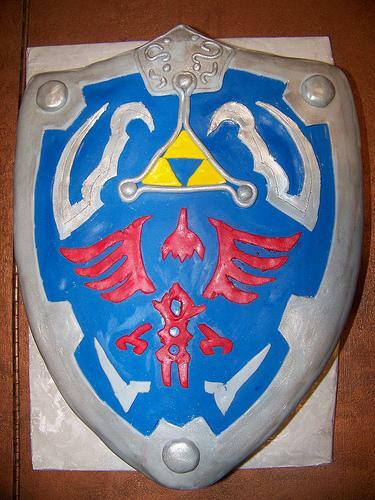 Just for a moment, imagine the Zelda series is a cake. Yeah, it’s been cooking for a good twenty-something years now, but just imagine it. The timer must be about to go off and the cake will be finished baking. 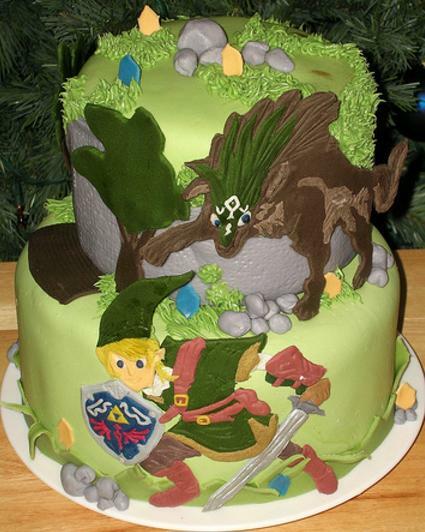 We are approaching the release of Zelda Wii, and as such, there are two things Zelda Wii could be for the cake. It could be the cherry on top, or, it could be the air bubble inside that the whole series… uh…cake… falls down upon. I don’t know about you, but whether or not you like cherries, I’d prefer a complete cake to some collapsed one. You could always just remove the cherry anyway, but you couldn’t rebuild that cake. Are you feeling hungry? Well, a large proportion of the Zelda fan base is starving! Let’s look at the Zelda series so far. Founded by Shigeru Miyamoto in 1986 for Japan and 1987 for the rest of the world, there have been 15 titles to date, a whole collection of spin-offs and cameo appearances from the characters. Many of those titles are considered some of the greatest games of all time. Zelda is renowned world-wide as a leading game series, with millions and millions of sales. It has seen a manga adaption and an animated series. We are all well aware of the splendor of the Zelda series, otherwise we wouldn’t be here, but we are approaching a dilemma. Although such a generalization won’t accurately reflect everyone, there are some pretty distinct groups in our Zelda community as we approach Zelda Wii. Group one tends to consist of both newer fans to the series and the veterans still standing strong in the series. There are those who have got on board with the touch generations: they loved Twilight Princess and the DS duo. In this group there are also some long time fans that have followed the series for ten years, twenty years, or even more. What is the criterion of being in this group? Well, when Zelda Wii comes out you will play the game regardless, enjoy the experience and have a good chat about them, no matter what. Sounds fair enough and there are plenty of Zelda fans like this out there. Group two: they are the ones who are starving. Starving for something new, something different, and they are why Zelda Wii is a dilemma for our cake. It’s no need for blame towards them, it’s just how is is. Many of the community veterans find themselves in this group. They want something that is Zelda, but something that is fresh, something that is new. Otherwise, their love of Zelda will remain something focused on games of the past. To some, Spirit Tracks was their redeeming game, but others still claimed that Zelda was only declining more and more as it turned its focus to a supposed ‘casual’ audience. So many people have lost interest in Zelda of recent. Here at Zelda Informer we’ve lost writers, news posters and forum members. All throughout the Zelda community respected figures have vanished, without the passion for the series anymore. They may still play Zelda Wii, but the series is almost dead to them now. It is upon Zelda Wii that many will place their verdict. Zelda Wii will either invigorate the passion, or kill it. So what? What can Nintendo do? Will they focus on a proportion of the audience, or attempt to cater to them all? What does Zelda Wii need to be to save the cake from crumbling? It is quite simple. It needs to be a challenge to the veterans and the newbies alike. It needs to be a decent length. It needs to be Zelda all over, but something we have never seen before. It needs to have the key elements of Zelda but completely change our knowledge and usage of them. It needs to be inventive and creative in items, dungeons, fields, sidequests and story. It can’t be another A Link to the Past, Ocarina of Time, Wind Waker or Twilight Princess. All fans have seen that story and need something different. It must to utilize the Wii’s motion controls and capabilities to a tee. It needs to be revolutionary and spur fans of the series, new and old, into a continuing legacy. A legacy that currently hangs on the brink. With the long development time of Zelda Wii many claim that if Nintendo don’t get this right, they just can’t do it anymore. Perhaps it is true. A lot of us can only see a new Zelda title coming and are excited; we don’t realize what is riding on this particular release. We’ve been deprived of a console Zelda since Twilight Princess in 2006. This new release faces some of the greatest pressure a game has ever received. It will either be that cherry or that air bubble. Don’t get me wrong, if the cake does collapse there will always be some great pieces there like Ocarina of Time and Majora’s Mask, but the cake will be no more. Zelda Wii carries the potential to make or break Zelda. Whichever way it goes, Zelda and its fanbase will never be the same after this beast hits the shops.